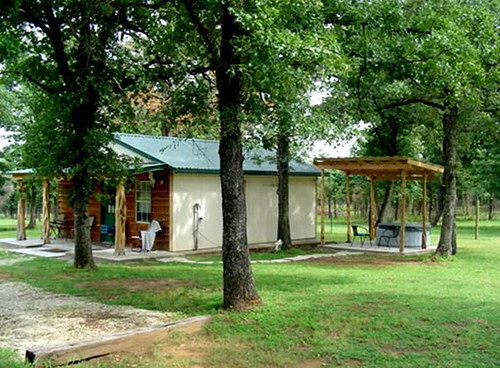 Just outside Hennipen, rest, relaxation and adventurous family fun is waiting for you! Bill and Margaret Davis, owners of Absolute Country have built a retreat that beckons you to come explore the outdoors and reconnect with nature. 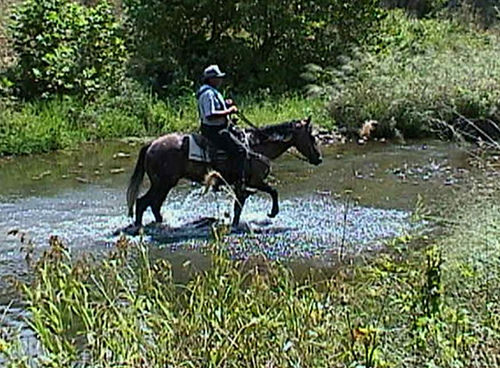 Miles away from the hustle and bustle of urban life, 400 acres await you with miles of trails for you to bring your own horses to ride, go hiking or mountain biking and when you finish the trails on their ranch you can enjoy the ones in the Arbuckle Mountains. 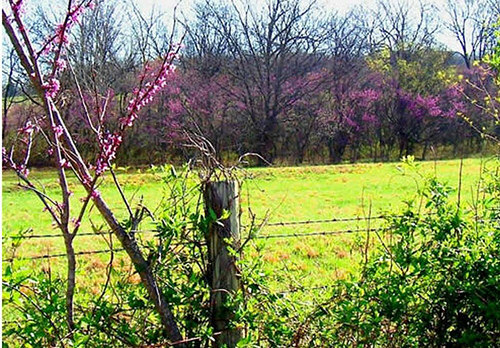 Listen the sounds of native Oklahoma birds while taking a walk or hang out in the Brandin' Post cabin. 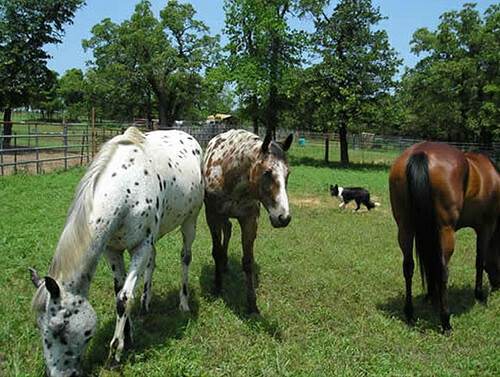 Many animals are on the ranch for petting and there is also a catch-and-release pond. Both kids and adults will enjoy roasting hot dogs and marshmallows in the firepit and creating lasting family memories. Take I-35 to Davis/Sulphur, Exit #55. Go W. on Hwy 7 for 10.2 mi. toward Duncan/ Hennipen. Just past the Hennipen sign there is a rd that BEARS right. (It is after the Volunteer Fire Department sign and between 2 stop signs). Take that road one block to the Pentecostal Church. Take a R. at the church and go 2.5 mi. 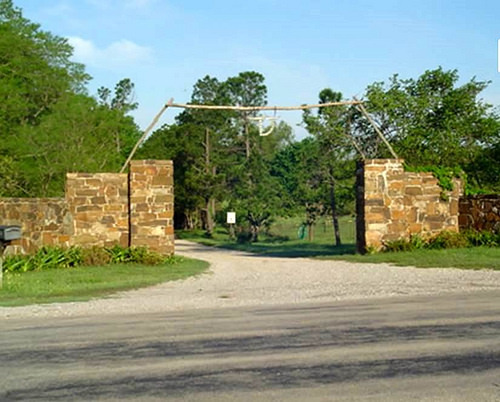 You will see the entrance to Flyin' D Ranch. Turn L. and stay to the L. You will pass the main house on the R. Continue up the gravel road & you will see the cabin.